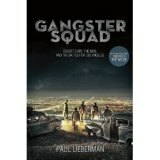 When I first heard about Paul Lieberman's "Gangster Squad: Covert Cops, the Mob, and the Battle for Los Angeles" (Thomas Dunne Books trade paperback, two glossy photo sections, unfortunately no index, 560 pages, $15.99) I mistakenly thought it was about the LAPD's secretive robbery division vigilante unit known as the "Hat Squad" for the dapper suits and wide brimmed hats favored by its members. The "Hat Squad" was fictionalized in a 1996 "neo-noir" movie called "Mulholland Falls", directed by Lee Tamahori, written by acclaimed novelist Pete Dexter and starring Nick Nolte, Andrew McCarthy, Jennifer Connelly, Melanie Griffith, Chris Penn and John Malkovich. When one of the out-of-town mob characters in the movie is told he's going to be taken to see Mulholland Falls, he replies that there is no such geological feature. Only later -- and too late for him -- does he discover the play on words when he's tossed off a cliff on Mulholland Drive, the winding mountain road separating L.A. from the San Fernando Valley. Coincidentally -- or maybe not -- Nolte ("48 Hrs") plays legendary Los Angeles Police Chief William Parker in an upcoming movie, "Gangster Squad" directed by Ruben Fleischer and based very loosely on Lieberman's book, which in turn was based on Lieberman's seven-part series that ran in 2008 in the Los Angeles Times. (See below for a link to the first part of the series as it ran in The Times). Sean Penn plays L.A. bookmaker and crime figure Meyer Harris "Mickey" Cohen in the movie. His late brother Chris, who was in "Mulholland Falls", died in 2006 at the age of 40 from complications of heart disease. Lieberman's book will remind people who've seen the flick of the corruption of the City of the Angels in the years preceding WWII and in the postwar years, too, when crimes like the "Black Dahlia" dismemberment murder of Elizabeth Short transfixed the nation. "L.A. Confidential", another Los Angeles neo-noir flick, covers much of the same ground. In the wake of the July 20, 2012 Aurora, Colorado movie theater shooting, "Gangster Squad" was pulled from a September release date because it contains a scene of a movie theater being shot up. (see trailer link:http://www.amazon.com/gp/mpd/permalink/m2TTZAPGWULQI7/ref=flash_player_2_preplay). There is no such scene in Lieberman's book, hence the "loosely" based appellation. The movie is now scheduled to be released in January, following some reshooting (no pun intended). Founded in 1946, the real life "Gangster Squad" spent much of its time in surveillance, wire tapping (legal and otherwise) and harassing Mickey Cohen and other criminal types, both local and visiting. They used Mulholland Drive to frighten crime figures, but never tossed anyone off a cliff. After he retired from the LAPD, one of the members of the squad, Gerard "Jerry" Wooters, started a home supply service business and later developed real estate in Orange County, ending up a multimillionaire. 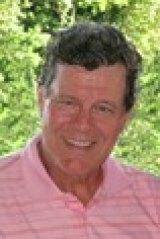 Another one, Jack O'Mara, was hired by horse racing interests to head up security at Hollywood Park and Santa Anita Park. Still another one, Bert Phelps, became a superior court judge. At the same time FBI Director J. Edgar Hoover was visiting horse tracks like Santa Anita and Hollywood Park with his pal Clyde Tolson -- and denying the existence of organized crime -- Chief Parker and his subordinate Captain James Hamilton used the eight member intelligence unit known informally as the "Gangster Squad" to compile files that even Hoover would envy on Cohen, Jimmy Fratianno, Jack Dragna, Dominick Brooklier and other mob figures in the years following the shooting death of Benjamin "Bugsy" Siegel in Beverly Hills in 1947. The "Gangster Squad" didn't sport the dapper suits and hats of the "Hat Squad", and they drove around in battered cars and slept with Tommy guns under their beds, but they did their damnedest to root out what L.A.'s city fathers saw as an invasion of "undesirables." One family of undesirables was headed by grifter and pool whiz, Fred Whalen, from Alton, Illinois, on the Mississippi River near St. Louis, whose son Jack "The Enforcer" Whalen was an aspiring movie star and hoodlum who was a threat to Mickey Cohen's empire. There's no movie theater shooting in the book but a Dec. 2, 1959 shooting in a Sherman Oaks (San Fernando Valley) restaurant called Rondelli's focused national attention on the Gangster Squad and crime in Los Angeles -- and resulted in the end of the squad. For Sgt. Jack O'Mara (played by Josh Brolin) and Sgt. Jerry Wooters (Ryan Gosling) all that mattered was nailing Mickey Cohen, who grew up in the Boyle Heights section east of downtown L.A., a one-time flyweight boxer, who for 15 years made a mockery of law and order in Los Angeles. O’Mara was a square-jawed church usher, Wooters a cynical womanizer. About all they had in common was their obsession with Cohen , who rose to the top of the L.A. rackets following the murder of his mentor Bugsy Siegel and then flaunted his stature by holding court every night along the Sunset Strip. So O’Mara set a trap for Mickey – using his own guns -- to prove he was a killer. Wooters formed an alliance with Mickey’s budding rival, Jack “The Enforcer” Whalen, an intimidating figure with movie star looks and dreams of making it in Hollywood. Two cops -- two hoodlums. Their fates collided in the closing days of the 1950s, when “The Enforcer” stormed into Rondelli’s restaurant to have it out with Mickey and his crew. The book also describes how Jack Webb became a friend of Chief Parker and created the "Dragnet" TV series. "Gangster Squad" is a well documented story of real life cops and criminals in Los Angeles. Lieberman, who left The Times a few years ago, and is executive producer of the film, spent well over a decade tracking down surviving members of the real police unit and conducted more than 300 interviews in all to write the book version of “Gangster Squad.” He met countless times with the anonymous foot soldiers in L.A.’s war against organized crime but also with the families and associates of the mobsters they pursued and assembled thousands of pages of documents, including grand jury transcripts, voluminous crime reports, old family letters and photos, and the LAPD’s own survey of every mob killing in the city from 1900 to 1951. PAUL LIEBERMAN is a journalist with more than a quarter century of experience as a writer and editor at the Los Angeles Times and Atlanta Journal-Constitution. He has won dozens of journalism honors, most for investigative projects, including the Robert F. Kennedy Awards Grand Prize, a George Polk Award, Gerald Loeb Award, American Society of Newspaper Editors Award and Scripps Howard Foundation Award. He also shared in two team Pulitzer Prizes at the L.A. Times, as a writer on its coverage of the Los Angeles Riots of 1992 and an editor of its reporting on the Northridge Earthquake. A native New Yorker, Lieberman is a Phi Beta Kappa graduate of Williams College and was a Nieman Fellow at Harvard, where he studied law and social history. He lives in Westchester County, NY with his wife, a school administrator.